If you already have a talent community (congrats!) then I bet you’re missing at least one idea below on how to grow yours. If you don’t have a talent community, then these 5 easy ideas will hopefully show you how easy talent communities are to grow. First, what is a talent community? A talent community (also called a ‘talent network’) is a method of collecting names and email addresses (as well as additional optional fields) of candidates to stay in touch with them through updated job opportunities or other news about employment with you. Because talent community software (more on that below) can automate much of the building of, and messaging to, candidates, a talent community can literally be a “recruit while you sleep” solution. For most of you employers, only about 11% of candidates are going to apply to your jobs. How about the other 89% — don’t you want to capture them for applications to future jobs. You may find that for every job opening you have, you could generate an extra 2-3+ people joining your talent community. 2-3 new people doesn’t sound like much but just picture that if you have 100 job openings right now (and let’s assume you fill those jobs in 60 days) then you will have 1,200 jobs posted in the next 12 months — if 3 people join your talent community for each of those then that’s 3,600 people you’ll have in your talent community a year from now. Some of you ask for a lot of information in your talent communities — fields like phone number, address and even uploading a resume. That is fine to ask for but just know that the % of people who fill those out will of course decline with the higher number of fields you require. If you want to boost your talent community conversion, simply ask for name and email — you may see a doubling or tripling of talent community members. Tons of candidates do a search on your company career site and come up empty — there’s nothing for them. 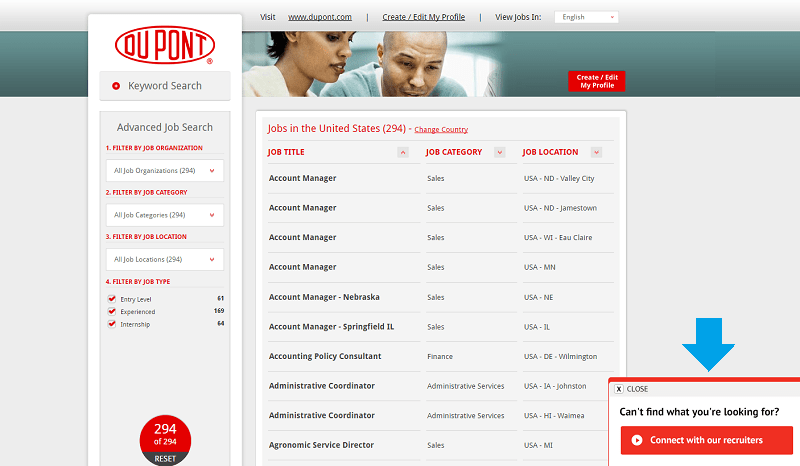 Try what Du Pont does and include a link at the bottom of the search results asking them to click to your talent community if they “can’t find the right opportunity” from the search. Take a page out of Nike’s playbook and make sure to include your link to the talent community ‘above the fold’ as they say in advertising (i.e at the top of your page so the candidate doesn’t have to scroll!). Many candidates come to your career site and don’t scroll down — so capture them before they leave! 5. 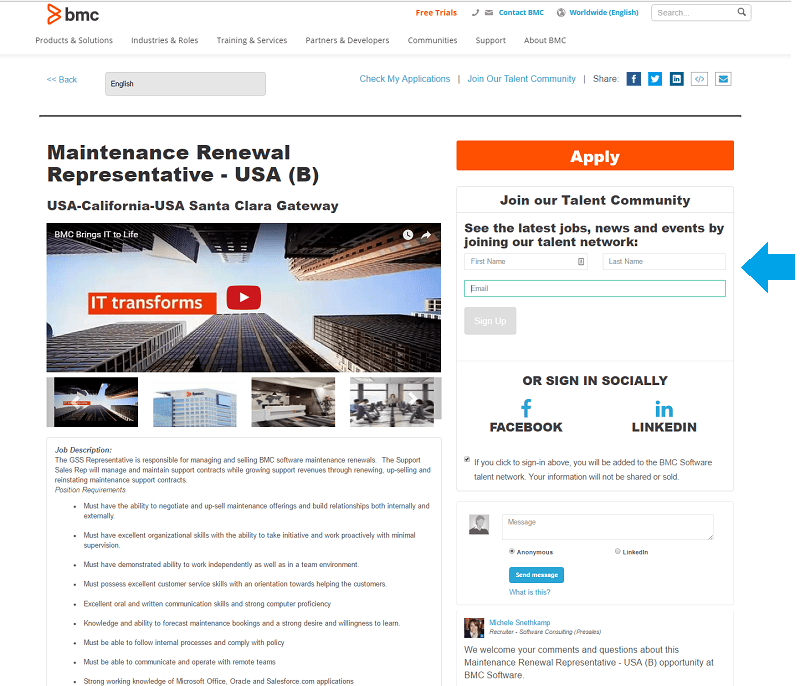 Microsite pages should have talent community capture too! 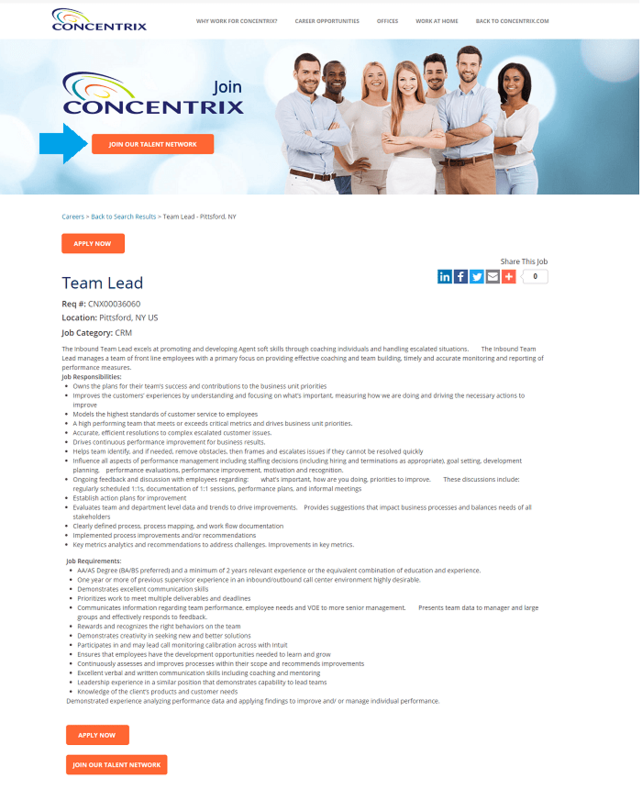 If you have microsite landing pages (aka job family pages) specific to your departments and locations or diversity or military, etc. — and you should — then include a talent community call-to-action there. 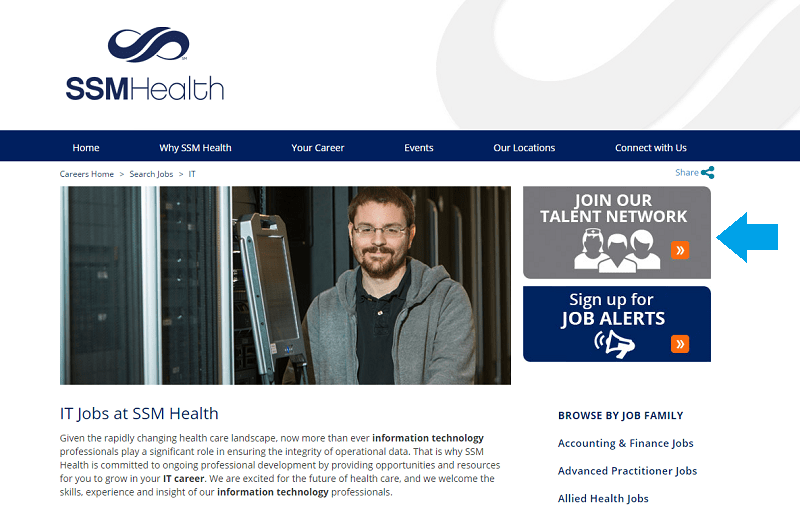 Take SSMHealth, for instance — they include a giant “Join Our Talent Network” in the upper-right hand corner of every microsite landing page. If you don’t yet have a talent community software solution, there are plenty of options, including Ongig, CareerBuilder and Avature. If you already have a talent community solution, the Ongig Cloud enables you to place your existing talent community capture on any job description, microsite or job search results page (and track it).